The Real Techniques Core Collection Kit (Face) is a collection of coverage essentials that every woman needs for flawless make-up application every time. Get four full-size brushes and a case at a great value. Designed by Samantha Chapman, these lightweight and easy-to-use brushes allow you to look picture-perfect even in harsh light. 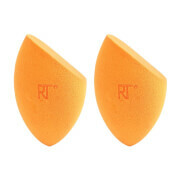 Conceal problem areas or apply lipstick for long-lasting shape and definition with this precision-cut detailer brush. Apply liquid foundation with this pointed foundation brush, designed for custom and complete coverage. 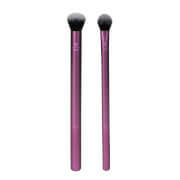 Apply mineral foundations and powder evenly with the buffing brush. 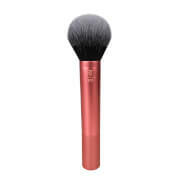 Create a soft-focus, sheer finish or contouring definition with the contour brush. This versatile case transforms into a stand during application. It didn't say anywhere that this kit is travel size - really disappointed. Great brushes that make applying make up so easy + they are super affordable! Buffing brush is my absolute favourite! These where a present for my daughter and she thinks they are fabulous. Excellent quality for the price. will recommend to my friends. Shipping is fast. I really liked how fast my order arrived! These are also the most awesome brushed i have ever had! It gives you this beautiful Natural look, just love it! Love the brushes & super fast delivery! Will definitely use HQhair again! Can't fault them! They couldn't be better! So good price for such great brushes! I'm using them everyday and wash them very often and nothing bad happened- none of the bristeles fall out nothing changed! Really excellent product.